Tris vs Katniss: who would win? Bare-knuckle dystopia with an über-cool new heroine to cheer on. 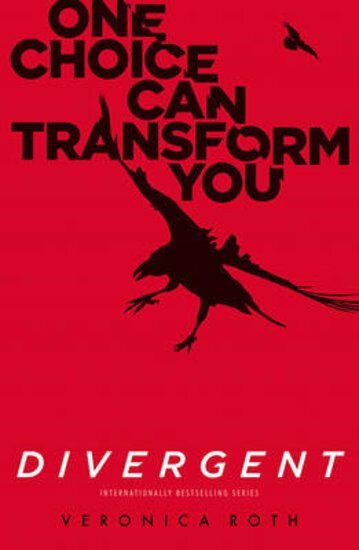 In Tris’s world, society is split into five factions matched to five human virtues. (Half the fun is figuring out which you’d be in.) But Tris has a secret. She doesn’t fit into any one faction. She is divergent. And that is dangerous. Then catastrophe strikes. Now Tris’s secret becomes her only lifeline. Does she have the drive to survive? Violent duels. Harsh choices. Death. Romance. Heartbreaking twists. The bravest girl you’ll ever know. Find out what the fuss is about.